Last year there were more data breaches than any on record. In 2018, this trend has continued with cyberattacks not only becoming more frequent but also escalating in their complexity. The recent British Airways attack shows just how devastating the consequences of a data breach can be. Even if the consequences of a cyberattack are nothing like the scale of some of those that have hit the headlines this year, you can be sure that you won’t escape unscathed. Whether it’s lost data, a damaged reputation or expensive fines, cyber-attacks always leave their mark. The ubiquity of cloud platforms like Microsoft Azure and Amazon’s AWS has added to the many cybersecurity challenges businesses already face. A recent report by McAfee highlighted the skills gap when it comes to security in the cloud. One-in-four businesses using software as a service (SaaS) or infrastructure as a service (IaaS) have experienced cybersecurity attacks that have compromised some of their data. Although cloud security skills are certainly nothing new, it’s clear they remain in extremely high-demand among the UK’s employers and this is only expected to grow over the next few years. The sheer amount of sensitive business data that’s stored in the cloud means extensive security measures are required to guarantee its safety. That has led to a surge in demand for cloud security architects to devise a secure cloud architecture that makes data inaccessible to hackers. As well as cloud security, the lack of cloud database, cloud networking and cloud monitoring skills are also present a barrier to secure enterprise cloud adoption. Encryption skills go hand-in-hand with cloud security skills to allow businesses to utilise popular cloud platforms safely. If hackers are able to bypass your first level of security and access your sensitive data then encryption will act as your last line of defence, making the data that has been breached inaccessible to anyone without an encryption key. The increasing sophistication and complexity of cyberattacks has caused the demand for cybersecurity professionals with encryption skills to rise. That’s because businesses are starting to realise just how vulnerable they are to attacks that are becoming more and more difficult to identify and prevent. As we move into a world that relies on cybersecurity to protect core business assets, encryption skills are something both international and local businesses will have to invest in. The result will be that demand and salaries for cybersecurity professionals with encryption skills will continue to rise. As a relatively new area of cybersecurity, this may not be a term everyone has heard of. However, it is one you’ll see an awful lot more of in the future for one simple reason: it works. DevSecOps is all about introducing cybersecurity elements earlier on in the application development lifecycle. The aim is to minimise vulnerabilities by making everyone involved in the process responsible for security. Although it may not be a skill in its own right as yet, cybersecurity professionals who have experience in DevSecOps are currently in high demand as more and more organisations adopt this approach. In fact, DevSecOps are predicted to be embedded in 80 percent of rapid development teams by 2021. Due to the lack of current professionals with this skill set, this is one area where we expect to see demand and salaries rise significantly over the next couple of years. Many of the most damaging hacks over the last year have been the result of vulnerabilities businesses were not aware of. In many cases, the vulnerabilities were only discovered after an attack, which of course, is too late. Regular penetration testing is essential to ensuring networks and sensitive data cannot be accessed in the first place. 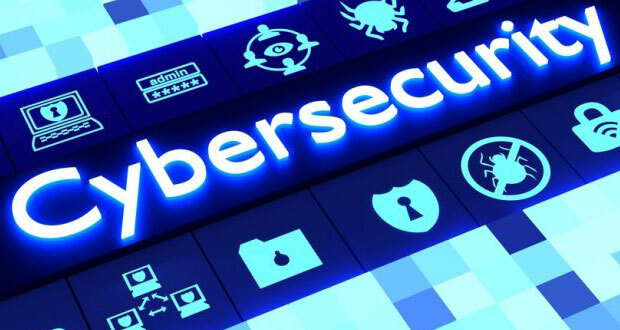 In some cases, hackers have been accessing sensitive data for months or even years and it is only once the activity escalates that organisations become aware of it. Intrusion detection applications look for any type of abnormal activity such as viruses, security policy violations and configuration errors. That can stop the attackers in their tracks by identifying harmful activity at the earliest opportunity to minimise the impact and keep sensitive data secure. At LynxPro, we bring together sought-after IT professionals in areas such as cybersecurity with the leading employers that need them. Sign up to find your next job or search for an IT professional today.